Why do we eat eggs with Easter? Don’t you love eating eggs with Easter? But why all those eggs, what is their connection with Easter? Many people think more about the Easter bunny and chocolate than the religious feast. 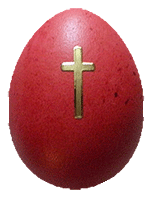 The (easter) egg symbolizes eternity, resurrection and fertility, and there are several ancient, heathen or Roman predecessors of Easter which I won’t go into here. You can find enough about that on the web. 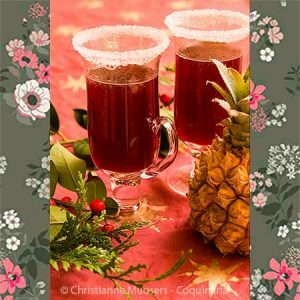 On this page are links to all recipes and information on Coquinaria. 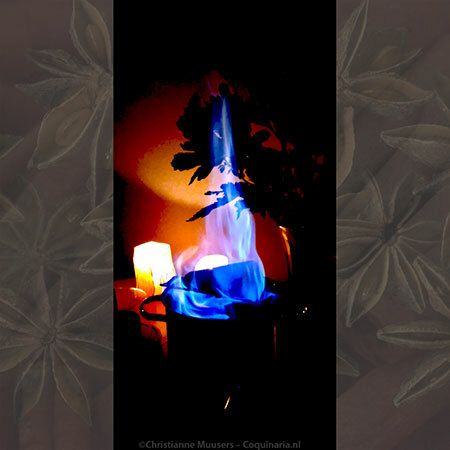 In the Christian tradition Easter is the most important feast of the ecclesiastical year. Christmas very popular, but more essential is the death of Christ on Good Friday for the sins of all humanity, and his resurrection on Easter Sunday. This important feast is the conclusion of the long period of forty days (Sundays not included) of Lent, during which people had to abstain from meat and all dairy products. Later chocolate was added and butter was removed from the list. Because hens, when they are permitted to live a natural life, do not lay eggs during winter but start laying again as the days lengthen, there will be a growing mounting of eggs waiting when at last Easter Sunday has arrived. This will be 23 March at the earliest, and 25 April at the latest. You can imagine that after six weeks absence from the table, eggs were welcomed back with cheer, whether they are from hens or made of chocolate. Chocolate Easter eggs exist for two reasons. To start with: in Lent people liked to play a joke to alleviate the tedium of the restricted diet. Medieval cookbooks offered recipes for fake eggs to serve during Lent. Scandalous! Boiled eggs on the table! But when the eggs were opened they were stuffed ingeniously with pike roe (fish eggs were not banned, see here) or almond paste. 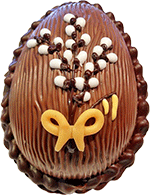 The first chocolate eggs were made in the beginning of the nineteenth century. Because chocolate was considered a stimulant, it became banned during Lent. And since the eighteenth century cacao was often prepared with milk which was banned anyway. Sugar was not banned for quite some time after the Middle Ages. But I remember the Lent sweet tin in which all sweets were emprisoned until it was allowed to eat them. So you’ll understand that it is completely wrong to have all those chocolate easter eggs in shops before Lent has even started! The delight of eating chocolate eggs at Easter is much less special if you have been stuffing yourself with them weeks in advance. Some people think Lent is the best season to lose weight. Now, this can be a nice side effect from fasting, but it should not be the object. 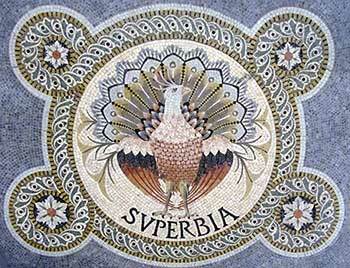 Because then you would be guilty of Superbia or Vanitas, the sin of vanity. There is even a special diet that some Americans adhere to in Lent, the No flour, no sugar-diet. You can take it from me that any diet that bans groups of nutritients completely is never healthy. The best way to lose weight is to follow Michael Pollan ‘s slogan: “Eat food. Not too much. Mostly plants”. Decorating eggs for Easter has been done for centuries. On colouring eggs in the Middle Ages you can read more at this recipe for stuffed and coloured eggs. That recipe is for very special eggs, the colour is on the inside! 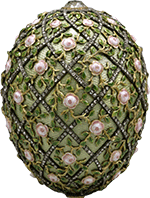 A Chinese version is tea-eggs which are coloured in beautifully marbled patterns. If you want to colour eggs for the Easter twig it doesn’t matter what paint you use, but colouring eggs that are meant to be eaten means the colouring agents must not be toxic. 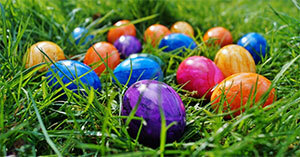 If you want to decorate the eggs yourself, it is preferable to use white eggs. But, at least in the Netherlands, those are hard to come by. People with blue eyes are smarter than people with grey eyes. Nonsense? Yes. And just as stupid is the misconception of many people that brown eggs are healthier that white eggs. Because brown bread is also healthier, they think. And egg farmers, who fear a loss of trade, only select brown egg-laying hens for their stables/cages/Teletubby-pastures. Whether a hen lays white or brown eggs depends on her ear lobes. If she has a white ear lobe, the eggs will be white. Is the lobe red, the eggs will be brown. Anyway, it is clear that white eggs are easier to paint than brown ones. Chicken with red earlobes often lay brown eggs, and with white earlobes white eggs. But when I asked around on Facebook I got reactions from hobby chicken farmers with chickens with red earlobes which lay white eggs. So I did some research and found an article by D.C. Warren according to whom there is no relation between the colour of the earlobe of a chicken and the eggs that are laid. The article dates from 1928 but it seems to make sense. I will continue my research. But what about chickens that produce eggs in other colours, like blue or green? According to this website the colour of the egg is determined by the pigment in the chicken. First the egg is formed, that takes about 20 hours. In the last phase the egg shell gets its colour. Some chickens have two kinds of pigment, others only one. The ratio between the two pigments determines the colour of the egg shell. But one chicken always produces eggs of the same colour. So if you want to have different coloured eggs, you’ll have to have more varieties of chickens. But what colour their earlobes is? If you happen to have chickens, please mail me the colour of their earlobes and of the eggs they lay. I am very curious whether or not there is any relation between the two!